Lieutenant John Stratford Collins (Sussex Regiment) is killed in action. He is the son of the Reverend J S Collins. Lieutenant Wade Gerard Fischer (Australian Infantry) is killed at age 23. He is the son of the Reverend Carl Hermann Fischer Vicar of Redcliffe Queensland. Lieutenant Ernest Penrose (Machine Gun Corps) is killed at age 23. His brother was killed in March 1917. 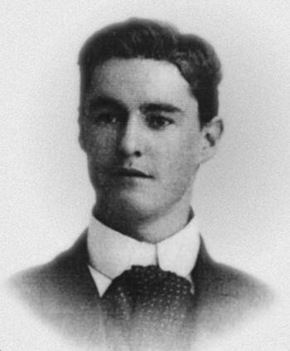 Second Lieutenant Cecil Henry Leonard Askey (Lincolnshire Regiment) is killed at age 19. He is the son of the Reverend Arthur Henry Askew Rector of Swallow. Second Lieutenant Harold Flinders Mitchell (Australian Infantry) is killed at age 32 at Dernancourt. He is the father of the author Dame Roma Mitchell. She is the first Australian woman to be a judge, a Queen’s Counsel, a chancellor of an Australian university and the Governor of an Australian state. Second Lieutenant Harold Rolleston Brittan (New Zealand Rifle Brigade) is killed in action. His brothers were killed together on Gallipoli in August 1915. Second Lieutenant Walter Parr-Dudley (Royal Fusiliers) is killed at age 19. His brother was killed on the first day of the Battle of the Somme. Chaplain William Henry Kay MC (attached Dorsetshire Regiment) is killed by a bursting shell at age 29. Sergeant Eric Nathaniel Davis (Otago Regiment) is killed at age 23. His brother was killed last October. Lance Bombardier Arthur G Munning (Royal Garrison Artillery) is killed in action. His brother died of wounds last June received as a result of the sinking of HMPMS Redcar. Private Harry Skinner (Suffolk Regiment) is killed in action at age 20. His older brothers were both killed within a two-month period beginning on the 1st July 1916. Private Bert A Hadaway (East Kent Regiment) is killed in action at age 20. He is the son of R A Hadaway JP. Private Frederick Charles Miller (Essex Regiment) is killed in action at age 19. His brother was killed the previous day. Private G H Chilton (Leicestershire Regiment attached Labour Corps) dies on service at home. His two brothers were killed in July 1916. Private Eugene Leo Courtney (Wellington Infantry) dies of wounds at age 22. He played football for the Napier Football Club and cricket for the Civil Service Club. Private Cecil Cobley (Northamptonshire Regiment) is killed at age 27. His brother was killed in September 1915. Gunner William James Gaston (Royal Garrison Artillery) is killed at age 36. His brother was killed in May 1915. Private George H Chilton (Leicestershire Regiment attached Labour Corps) commits suicide. His two brothers were killed in July 1916 and he was severely wounded the same day his second brother was killed. Private Charles Corder (Sussex Regiment) is killed at age 35. His brother was killed on HMS Hawke in October 1914. Private Arthur Trevor Lewis (Gloucestershire Regiment) dies wounds at home at age 27. He is the son of the late Canon J S Lewis. Private William Graham Fairley (Royal Scots) dies of wounds received 30th His brother will die of wounds in August. Stoker George Twidell (HMS Bluebell) dies of wounds at age 20. His brother was killed in April 1917.